© 2011 by The York Dispatch. 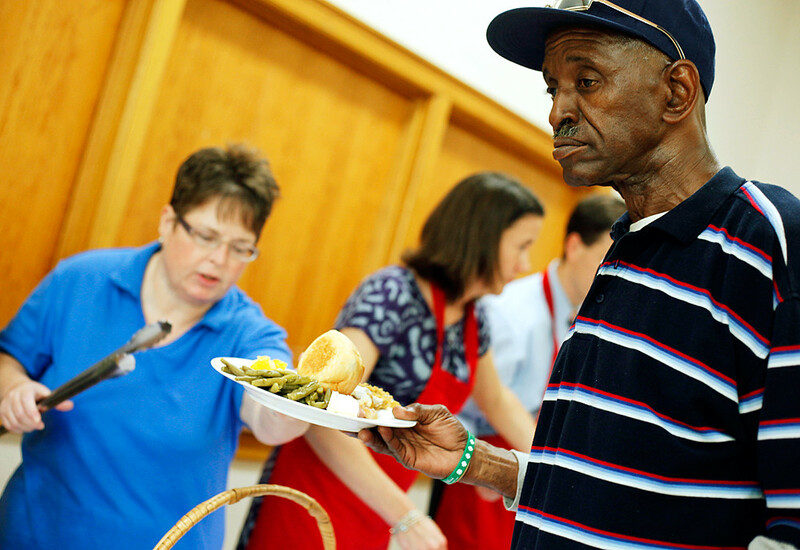 George Riddley of York City walks toward the drinks table after receiving his plate of Easter lunch at the Episcopal Church of St. John the Baptist on Sunday, April 24, 2011. The lunch was open to any public safety workers, the homeless, those living in shelters or those living by themselves. © 2011 by The York Dispatch. 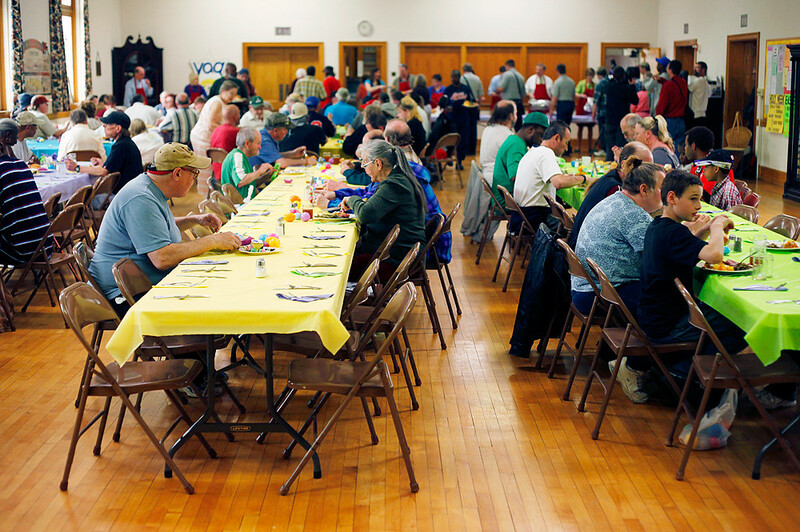 Tables start to fill up at the annual Easter lunch at the Episcopal Church of St. John the Baptist on Sunday, April 24, 2011. Rev. David Lovelace said the church began the Easter lunch seven or eight years ago. "People were asking what we do for Easter. We do meals for Christmas and Thanksgiving, so why not Easter?" Lovelace said. © 2011 by The York Dispatch. 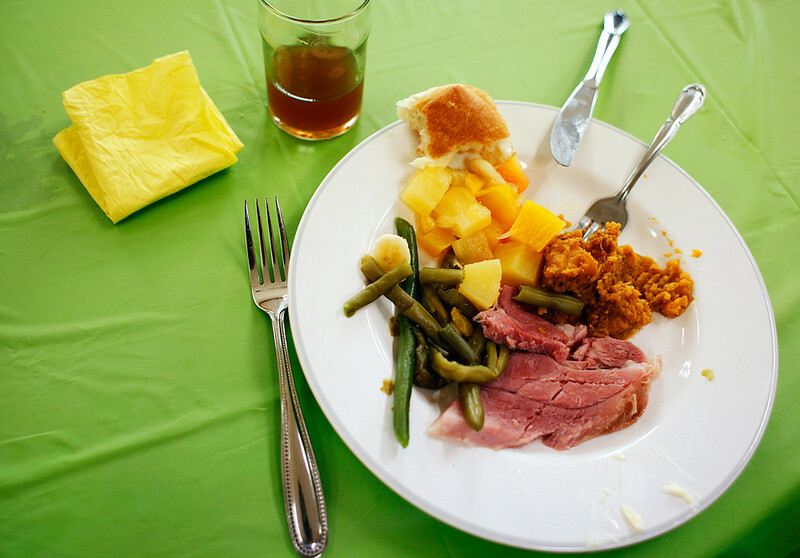 The Easter lunch served at the Episcopal Church of St. John the Baptist included ham, green beans, sweet potato casserole, tropical fruit salad, bread rolls and homemade Easter eggs. © 2011 by The York Dispatch. William Donald, who said he is homeless, sits by himself in the corner during Easter lunch at the Episcopal Church of St. John the Baptist on Sunday, April 24, 2011.